If you live within RM8, RM9 or RM10 postcode our other practice the Porters Avenue Doctors’ Surgery is likely to be closer and more convenient. For more information on registering at this practice click here. Please note: Porters Avenue and Child & Family Doctors are merging. Please visit the Porters Avenue website for all future updates. This website will shortly be removed and all information will be available from the Porters Avenue website. We're open from 8 am until 8 pm and on Saturday mornings too. It's never been easier to receive the care you need. 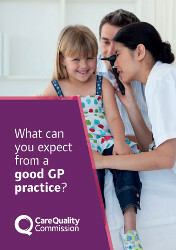 You can pre-book an appointment or simply request a doctor calls you to discuss your needs. We are a new team of health professionals, committed to providing you with a convenient, high quality service. We are based just five minutes from Barking station, in the stunning, comfortable new Health Centre.